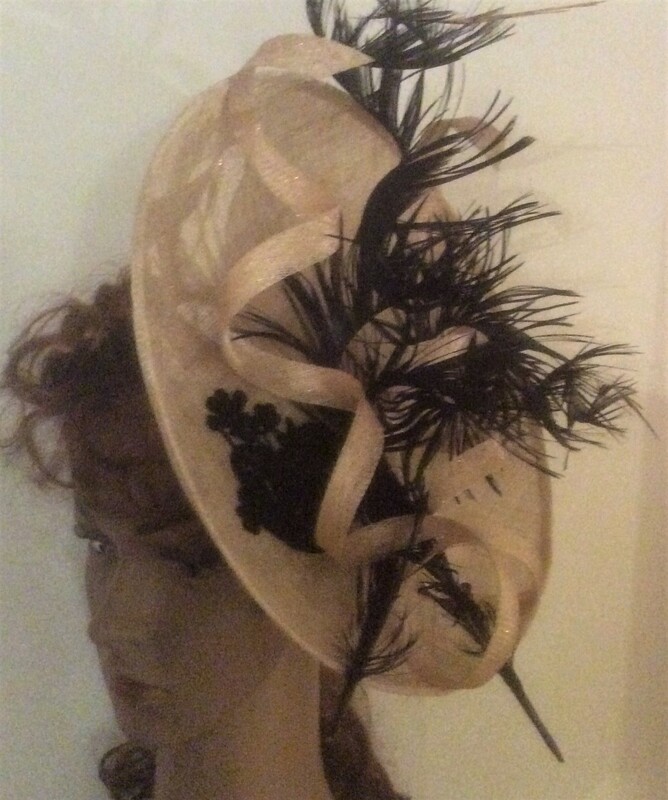 The Couture collection consists of original contemporary designs for that special occasion whether that is as a wedding guest, a bride, something for the races or just to make an impression. We have the design just for you. Browse some of our previous designs below and get in touch with your request so that we can build you something to go with that special outfit. 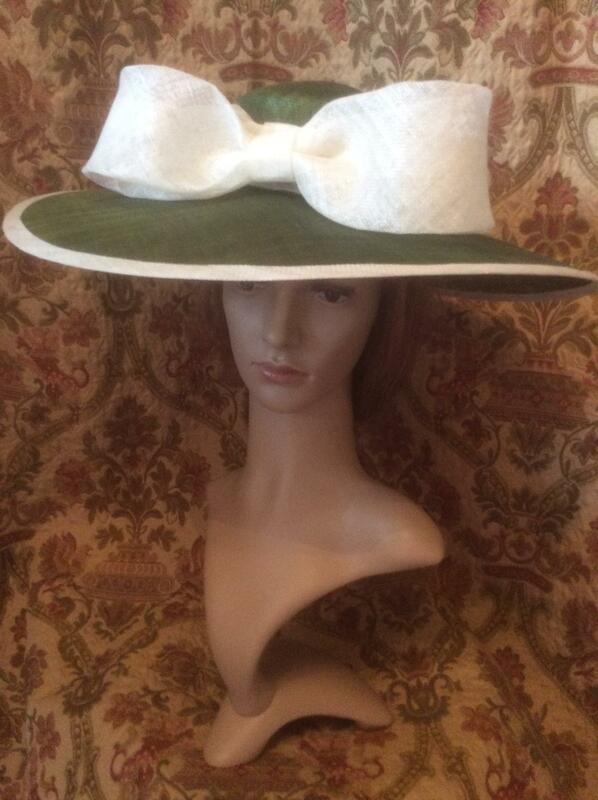 Created in sinamy, or silk these types of hats are perfect for that spring or summer wedding. 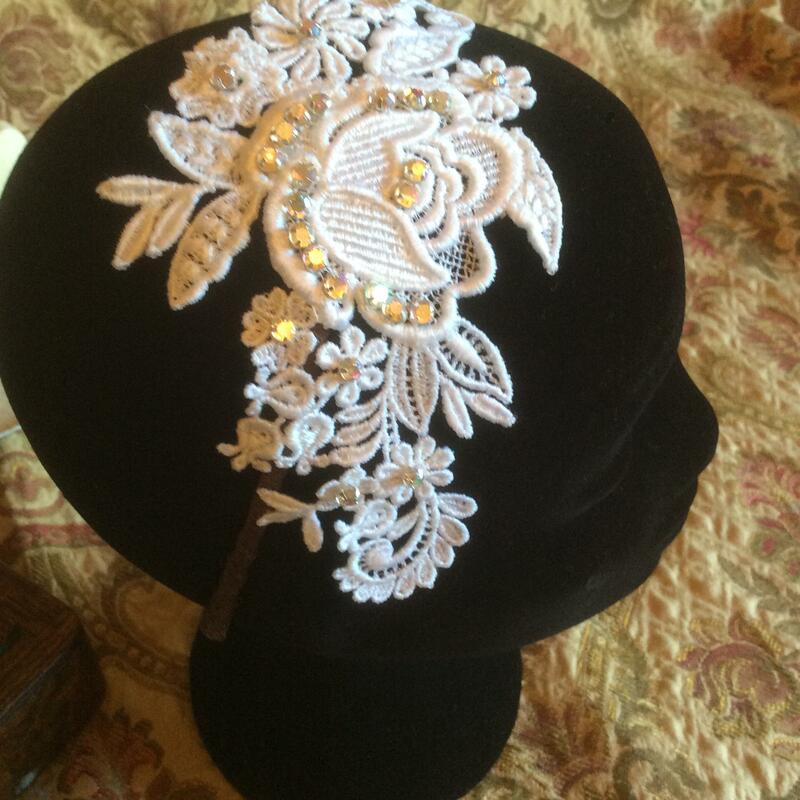 They can be decorted with striking feathers, flowers, bows or sinamay shapes. The choice is yours. 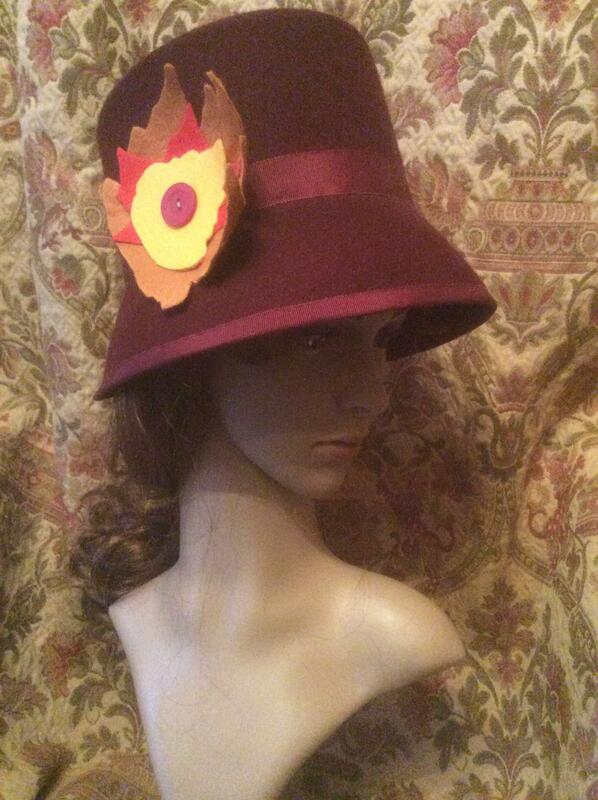 This cranberry coloured creation certainly turned some heads! 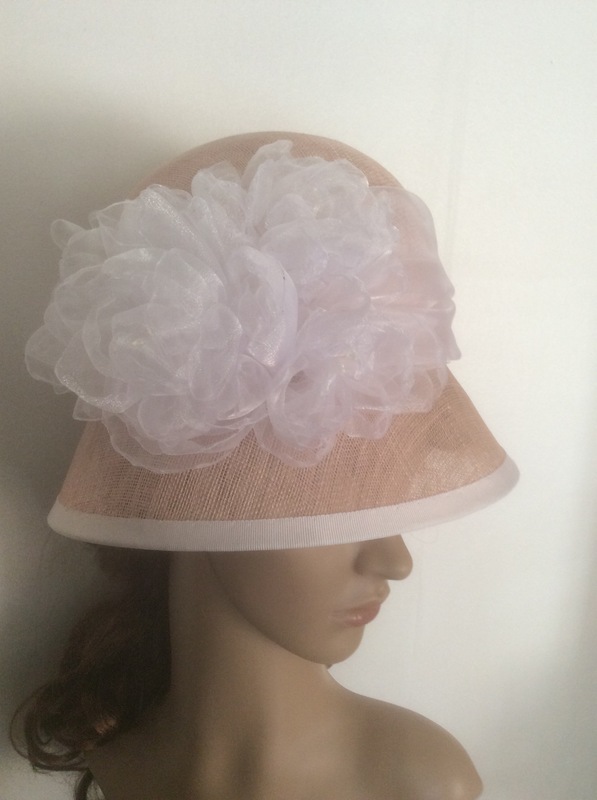 Normally priced at around £160 (dependent upon decoration) A large brimmed hat can be made to match your outfit for that special day. 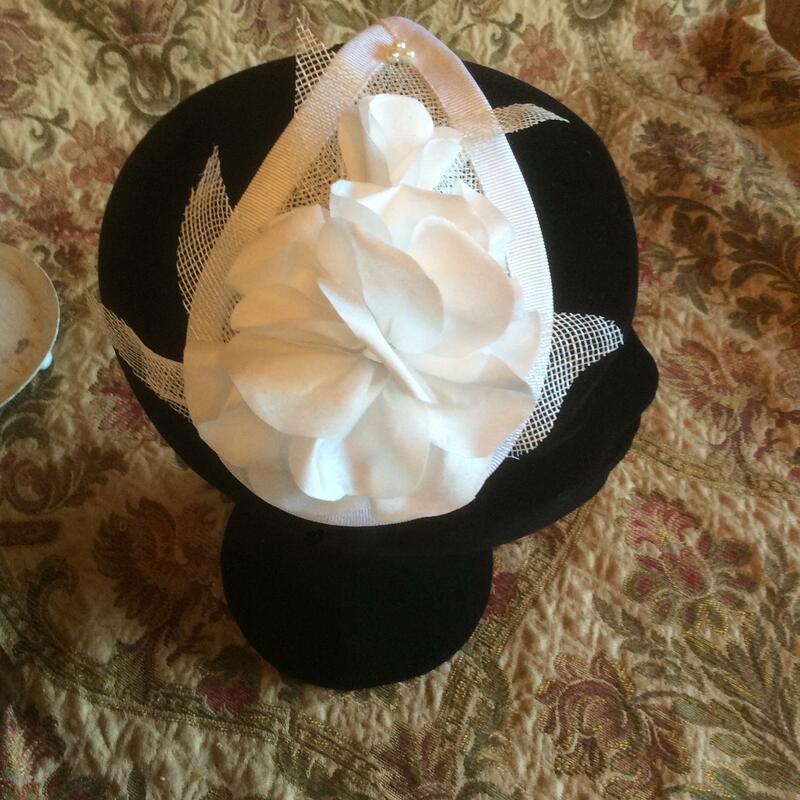 A sinamay saucer can be made in any colour you desire. 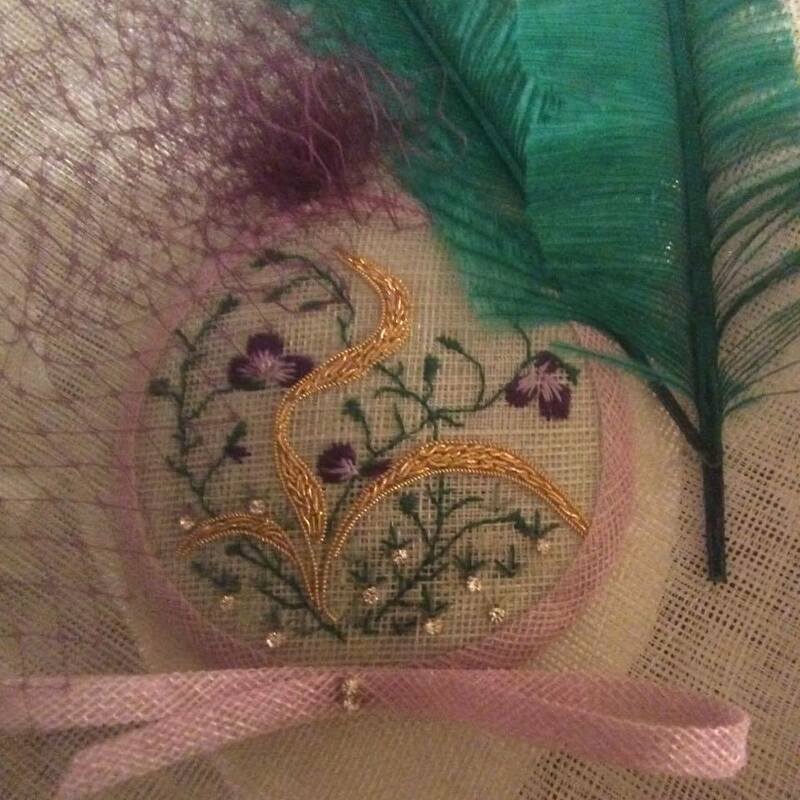 Decoration can be an arrangeent of feathers or perhaps some handsewn goldwork embroidery. Saucey Sue retails for around £120. 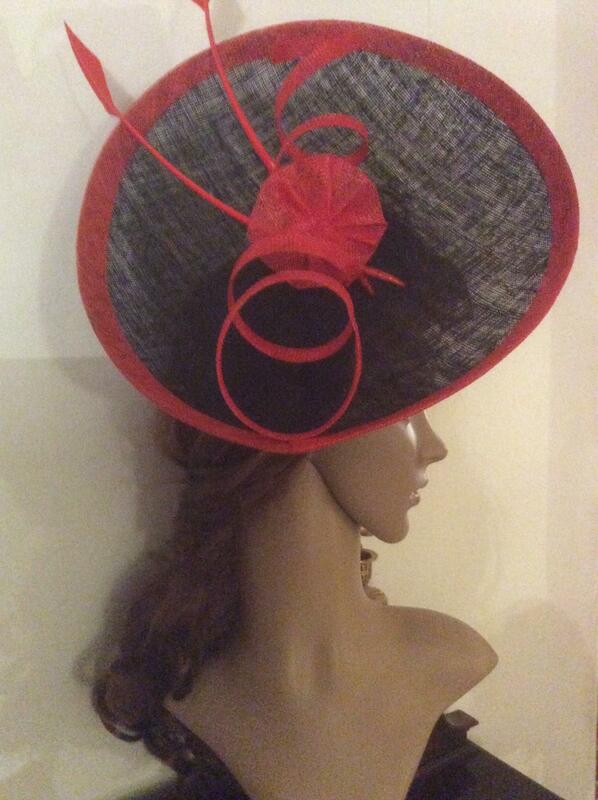 This style was entered for the Bridport Hat Festival in 2016 and received a bronze award. 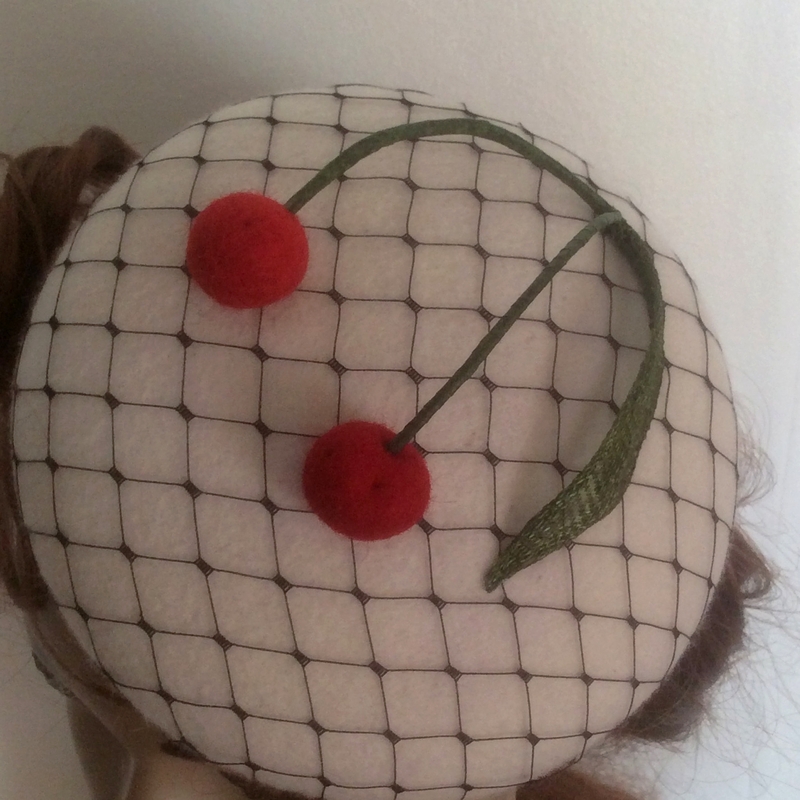 Damson is based on a 'button' hat block and made in straw (sinamay) with a variety of decorations and colours. A couple of examples are given here - the version with the arrow feather, having appeared on TV!. 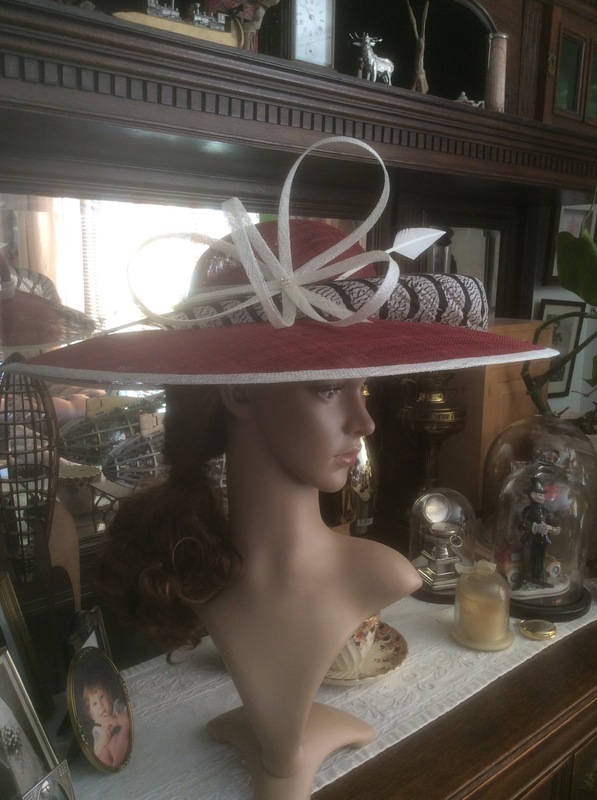 A thoroughlhy modern cloche. 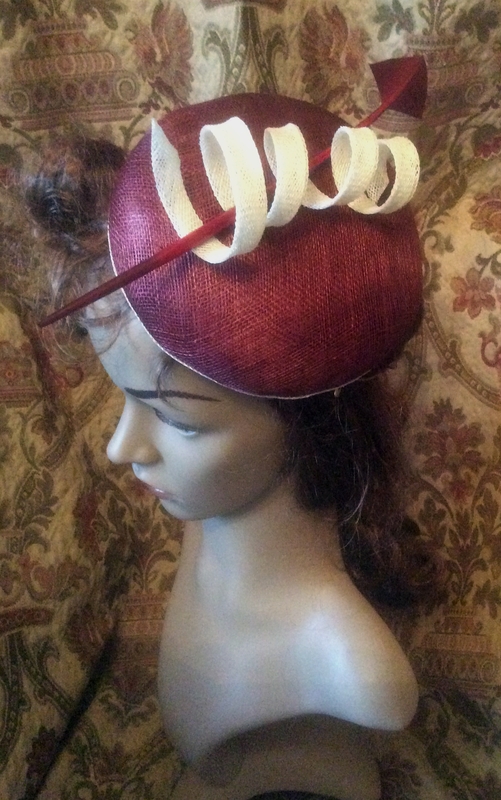 Created in felt or sinamay. 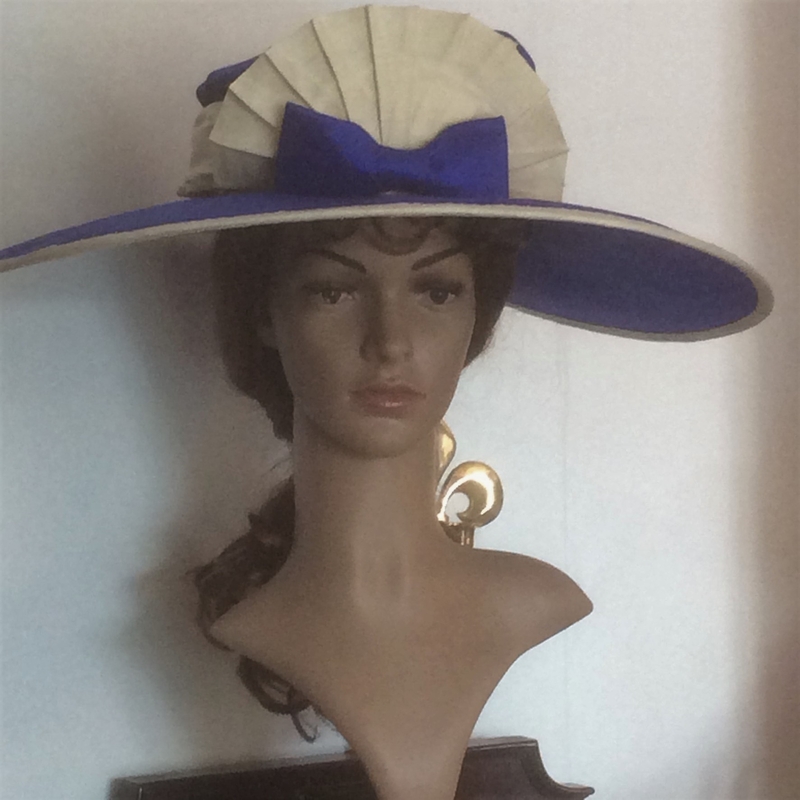 Can be made with either a rounded crown or the flat crown shown above. Nice everyday wear. A snip at £90 for a style with minimal decoration. 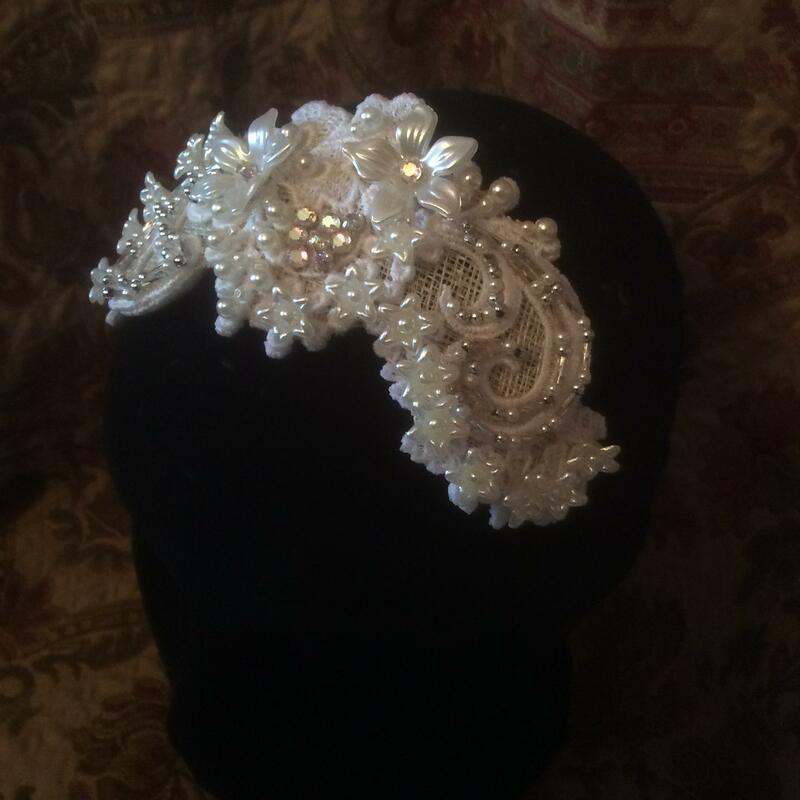 A variety of different headpieces can be put together using vintage lace, simulated, freshwater or glass pearls and crystals. You decide how you want to wear it. 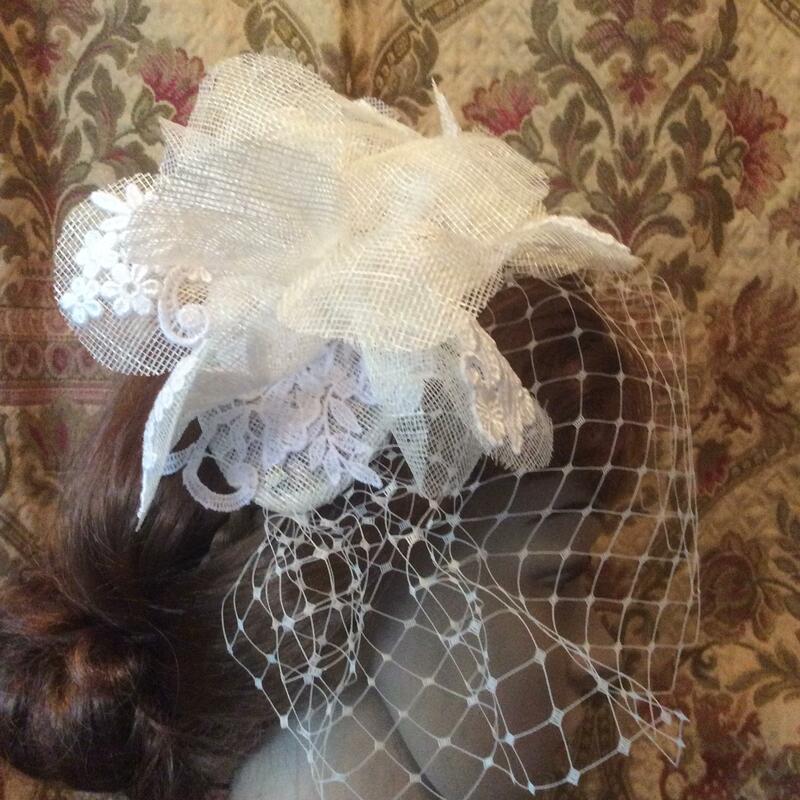 It can hold your veil in place or be used as a tiara. Try a variety of colours for the bridesmaids too. Prices will vary dependent upon the choices you make, but start at around £60.